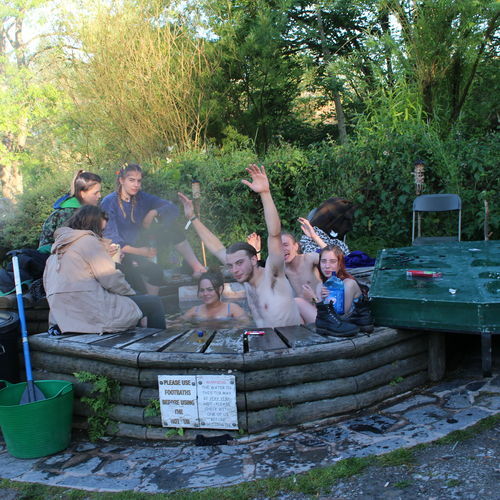 In the grounds we have an authentic Finnish sauna, a wood-fired Hot Tub and for the truly brave, there is our infamous ice-cold bucket shower - we'll here the screams ! The sauna is self service so you can light it whenever you want. The hot tub takes a little longer to get ready so please ask us to light it for you. If you are here for a party it certainly adds an extra dimension! Just let us know what time you would like to use it and we'll get the hot tub ready for you. 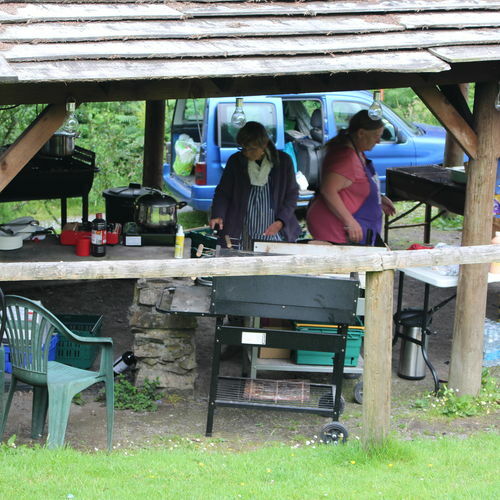 All weather BBQ at Marthrown - We have covered the BBQ area, which makes the BBQ usable all year round and in all weather conditions It has tables and chairs and electricity for lighting and music, (if you want to bring your own). There are 4 good-sized BBQ and 2 stone slabs for preparation areas so you can cook to your hearts content and its only a short stagger up to the hot tub to relax in when you've finished! Please remember to bring your own charcoal and lighting fluid! 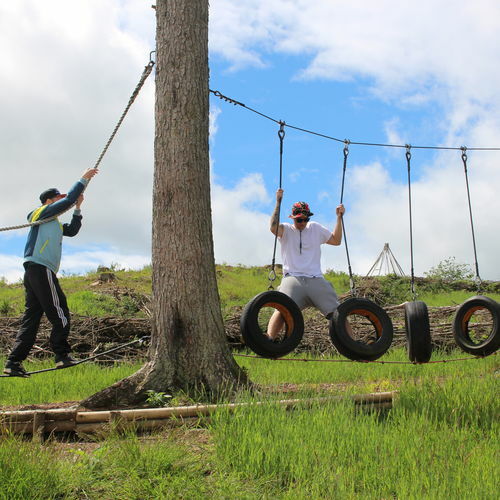 We have the Marthrown Challenge Course which will really test the skills of even the most determined participants to complete the circuit without touching the ground.